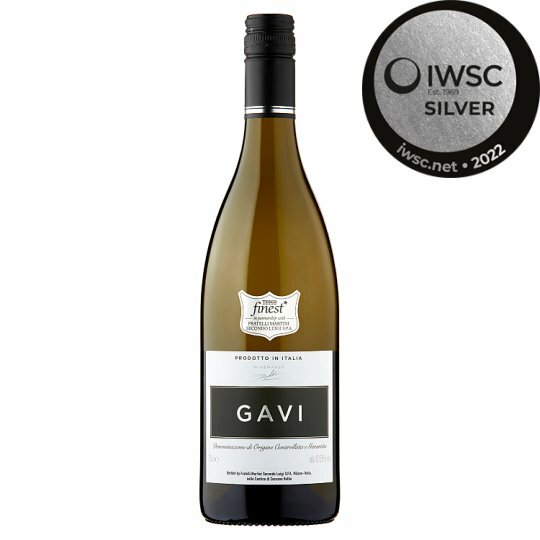 GAVI DOCG. Produce of Italy. Made from premium Cortese grapes from the Gavi region in north west Italy. These local grapes produce a dry, elegant wine distinguished by its crisp white peach and citrus flavours and has a long smooth finish. Serve chilled with roast chicken or oven baked fish. Store in a cool, dark place. To enjoy this wine at its best, drink within a year of purchase. Once open, drink within 3 days.